Did you just bring home a ragdoll kitten? Congratulations! Ragdoll cats are a terrific choice and tend to make excellent pets. 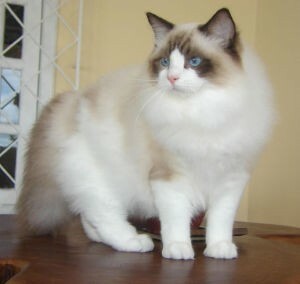 Besides having beautiful blue eyes and a soft coat, ragdolls typically have a gentle temperment and can be quite affectionate. Here you will find a list of ragdoll cat names as well as some tips for choosing the perfect name for a ragdoll. The breed was given the name ragdoll because individuals who descend from the original breeding stock usually relax or go limp when picked up. Ragdoll cats are often called “dog-like cats” because of their comfort in being handled, their tendency to follow people around and their affectionate nature. Choose a name that you could yell from a front porch. If it is easy to yell and easy to say, it will be easier for your cat to recognize and get used to the name. Research shows that cats respond best to names which are one or two syllables. Go with your gut. I knew the name of my next cat before I had my cat, for example. If there’s a name you already love and you can imagine calling your cat, then jot it down in your memory bank for later. Pay attention to your kitten’s or cat’s personality. Every cat is unique and your cat’s individual behavior may help you to find the perfect name. Examples include “Cuddles” or “Bouncy” or “Bubbles". Don’t be reluctant to add additional nicknames for your cat over time. 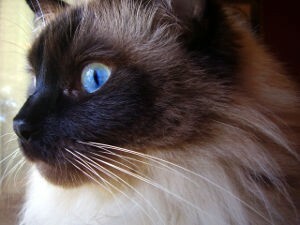 For example, my seal mitted Ragdoll cat, Charlie is also called, “Wubbie", “Bubbie", Charliemansers" and more. My cat Trigg is also called, “Chiggy", “Gausy", “Chigg Doo". They respond to all of the names I call them. See Jenny Dean’s guide on everything you need to know to care for a Ragdoll kitten. It has excellent reviews! Below is a list of names for ragdoll cats to help you decide. Looking instead for Female Ragdoll cat names, Male Ragdoll cat names, Siamese cat Names, Tabby cat names, or Tortoiseshell cat names? Tagged female ragdoll cat names, male ragdoll cat names, names for ragdoll cats, ragdoll cat names. Bookmark the permalink.